Toronto Airport Taxi is a great airport taxi service company providing London Airport Taxi Services for London and surrounding communities, offering full service Airport Transportation to and from Toronto Pearson International Airport, Hamilton International Airport or London Airport and other Ontario regional airports. It doesn't matter whether it's a trip to the airport you need from London or a magical evening out on the town, we want to make sure you are so comfortable and pleased that you book with us again and again. That means your every need is our top priority. Don't drive to the airport... book our London Airport Taxi! You'll travel in luxury and avoid the hassle of parking garages and battling traffic. Be sure to check out our great one way flat rates for a Taxi to the Toronto Airport from metro Toronto and the GTA. 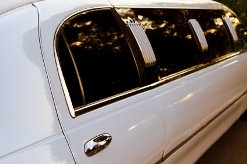 London Airport Taxi also offers limousine services for special events such as Weddings, Proms, Stags, Casino trips, Business Events and nights out on the town in London and within the Greater Toronto Area and Southern Ontario. If you need a airport taxi... Call us now and reserve your airport taxi! No matter which model you choose for your airport ground transportation needs, you can rest assured that you'll find a clean comfortable, and well-maintained vehicle. 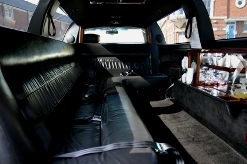 We can accomodate from 1 to 14 passengers per vehicle. Our London Airport Taxi Services can provide luxury limousines for everything from affordable airport transportation to wedding limos, prom and graduation limo rentals to Casino trips. Call London Airport Taxi by Toronto Airport Taxi the next time you need courteous, professional, reliable luxury airport ground transportation in beautifully maintained late-model luxury limos. Are you looking for reliable airport transportation? Try London Airport Taxi Service! Our Airport Taxi/Limo/Shuttle service provides Airport Taxi Service to/from London and the neighboring communities of: Paris Airport Taxi Service, Cambridge Airport Taxi Service, Kitchener Airport Taxi Service, Brantford Airport Taxi Service, White Oak, Hyde Park, Kilworth, Ingersoll, Sharon, Hubrey, Tempo, Delaware, Komoka, Lobo, Poplar Hill, Mt Brydges, Arva, Ballymote, Ilderton, Birr, Thorndale, Evelyn, Nilestown, Derwent, Mossley, Gladstone, Belmont and Woodstock Airport Taxi Service. Call Us! Our London Airport Taxi Service would be pleased to offer our airport taxi service to pick you up and shuttle you to/from Toronto Pearson International Airport, Hamilton International Airport or London Airport. Got questions? Let us know..
Name Your name is required. Phone Enter a valid phone number. London is known as the Forest City. It's big enough to have everything you need � in dining, culture, entertainment, shopping, sports - but with the added plus of a friendly ambience that is reminiscent of smaller communities. The buzz of London as a personal travel destination is ever growing, particularly, with our being the host venue for prestigious national and international sport and entertainment events. Situated on the picturesque Grand River, the city of London is a city in Southwestern Ontario, Canada, situated along the Quebec City � Windsor Corridor. The city has a population of 352,395, and the metropolitan area has a population of 457,720, according to the 2006 Canadian census; the metro population in 2009 was estimated at 489,274. The city is named after London, England. London is the seat of Middlesex County, at the forks of the non-navigable Thames River, approximately halfway between Toronto, Ontario and Detroit, Michigan. The City of London is a separated municipality, politically separate from Middlesex County, though it remains the official county seat. Choose London Airport Taxi as your preferred transportation provider for all your business and personal travel needs in and around London, Ontario. Our London Airport Taxi Service is always courteous, friendly, professional and reliable. Toronto Airport Taxi also provides Cambridge Airport Taxi Service and Brantford Airport Taxi Service. We are more than happy to serve you! Please contact us with any questions you may have regarding our limousine services, limo rates, types of limos or availability for your event. For your convenience, our Customer Service department is open 24/7!